I've written a couple of books and have self-published three of them. 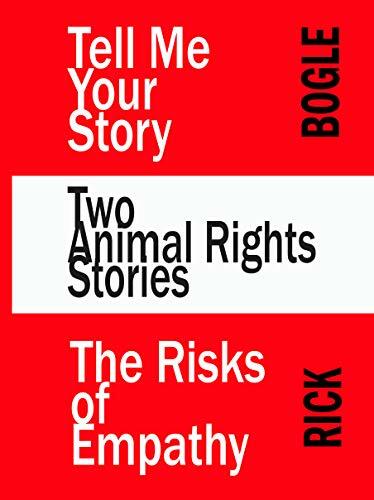 Two have been read by me and a handful of friends and curious anti-animal sorts looking for nasty things to say about me. None of them are particularly well written, but writing them was cathartic. One of them is set in a future America after the Germans won World War II. A small student group begins complaining about the use of Jews in a university's labs, and resorts to some direct action to free them. The little blurb on Amazon says: "A slight change of circumstance led to the Nazis winning the war and eventually ruling the world. One result was the firm institutionalization of experimentation on "subhumans." Now, people who oppose this government-sponsored science are labeled enemies of the State. It's called Tell Me Your Story. Children imagine that monsters lurk under the bed or in the closet. We keep the nightlight burning because we know instinctually that monsters are afraid of the light. But real monsters are all around us, snatching up the weak and powerless, children and animals, torturing them, killing them. But we were right: monsters are afraid of the light. In the case of real monsters, it is the light of public scrutiny that they fear. They can be defeated; public education is a stake that can be driven into their cruel hearts. 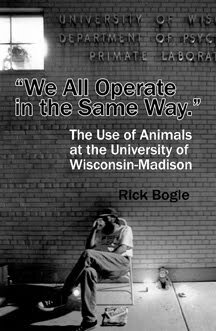 Learning the details of what goes on in the animal labs, on the farms, in the slaughterhouses, and telling others about it, shines a light on the dirty deeds being performed out of sight. The people doing these things don't want to discuss the details in public. But we can shine a light so bright that everyone will have to look. Monsters and Pygmies might be the spark that will light your torch. 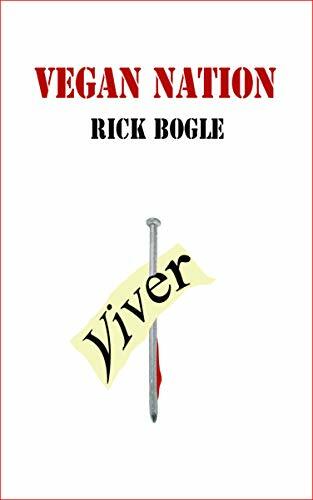 The first book I published was Vegan Nation. 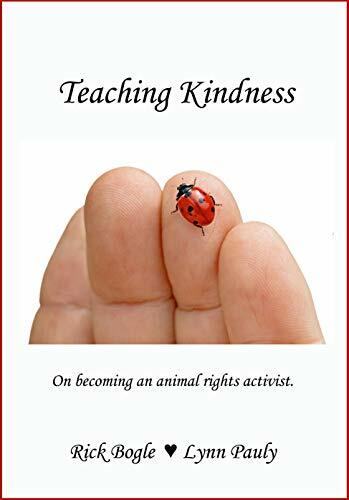 It's a cautionary tale about a guy who suddenly finds himself with immense wealth and decides to use it to strike out against cruelty to animals. He becomes a serial killer of vivisectors. It's pretty graphic in its depictions of the way people are murdered. The story is particularly bothersome to some people because his methods -- much like anti-slavery activist John Brown's -- seem to work. It's cautionary because today's efforts to hide what is done to animals, to criminalize the private investigation of cruelty, to make it illegal to even show someone a picture of what is done in the labs, on the farms, behind the scenes at circuses and rodeos, all of the efforts to hide what is being done to animals and to criminalize the exposure of the cruelty, is a sort of pressure cooker. Even a small amount of water in a closed un-vented container can rip steel when heated to the boiling point. I am writing about this book today because it is being republished; of all the things I've written, its the one going into a second edition; odd. I wouldn't have guessed that this small novella would have been the one thing I've said that seems to be growing legs. See Warcry Communications. Order your copy today!